Summer is the perfect time for relaxing, getting outside, and getting together with friends. And for most parents, that means the kids are tagging along. So what do you do when you need a kid-friendly dish for your neighbors’ next summer bash? Easy. You make one! And the best part about this particular BBQ-chicken-pizza-inspired recipe is that the entire process is kid-friendly. 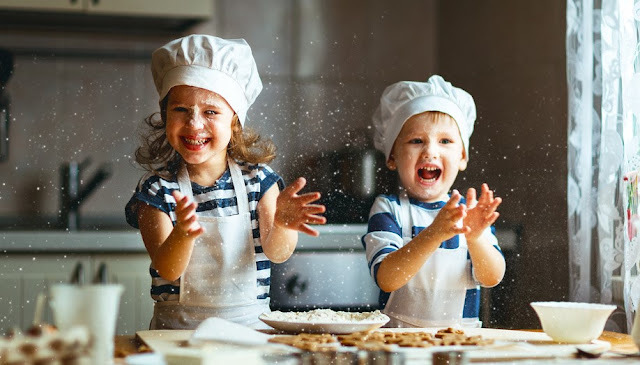 Are you ready to get your kids busy in the kitchen? If your answer is yes, then keep reading. You’ve heard of the four major regional styles of BBQ -- Kansas City, Texas, Memphis, and Carolina-style -- but today you’re going to master kid style barbecue! Begin by preheating your oven to 375 degrees Fahrenheit. While your oven is preheating, cook and shred your chicken and dice your red onion. In addition, you should separate your crescent dough into individual triangles and evenly space them out on lightly greased baking sheets. Place your shredded chicken, diced red onion, and BBQ sauce into a large bowl and mix until well-combined. This is a great step for the kids to get in on, too! Once all of those ingredients have been thoroughly mixed, it’s time to get your cheddar cheese and assemble your BBQ chicken pockets. When filling your crescent rolls, you should aim to place just about a tablespoon of your chicken mixture into the largest end of the triangle. After your chicken mixture is secured on the triangle, sprinkle as much or as little cheese as you’d like over the top. Once this is done, loosely roll up your crescent rolls. If your kids are having trouble rolling without making a mess, here's a great alternative: simply fold the pointed end of the triangle over the chicken mixture instead. Your assembled BBQ chicken pockets should cook in the oven for 12 to 15 minutes (or until golden brown). Once the aroma of crescent rolls and BBQ sauce fills the air, it might be hard to resist keeping all of these chicken pockets for yourself! They’re simple, quick, and absolutely delicious with or without a bit of ranch dressing to dip in. If you’re feeling extra ambitious, you can challenge your kids to take what they’ve learned from this recipe and create an entire BBQ chicken ring with crescent roll dough! Whether they’re up to the challenge or not, you’ll have a great recipe to share with them for years to come. Enjoy!